Hello Beauties! I hope you've all had a great week. Sorry for not posting as much this week, I've been busy with work and drinks this week so just haven't had time to sit down and write. 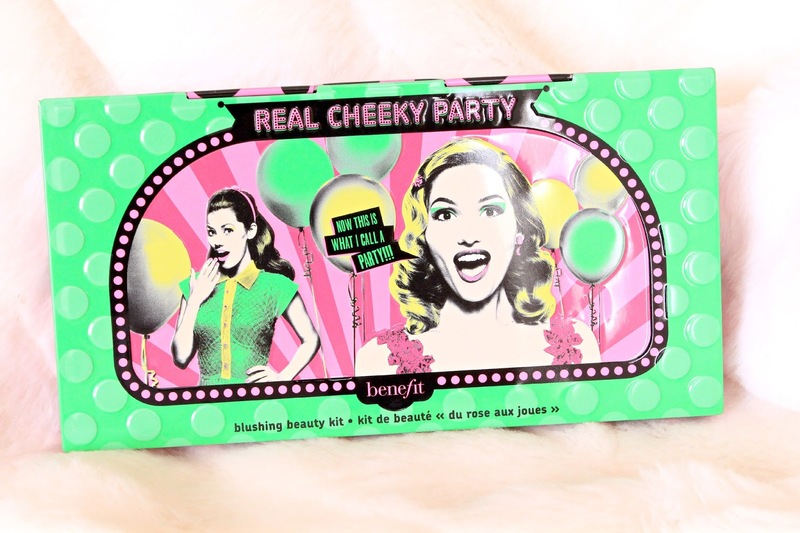 I'm sure you'll forgive me though as today I'm back with Benefit's much anticipated Real Cheeky Party palette from their Christmas 2015 collection. October almost seems to soon to be talking about Christmas, but as I missed out on Benefits cheek palette last year, I had to snap it up while I could (and with a cheeky 10% discount at Olympia Beauty, it would have been rude not to!). It seems to be a recurring theme now that I have to buy a face palette from at least one brand every Christmas, and Benefit have stolen that spot from Tarte this year. 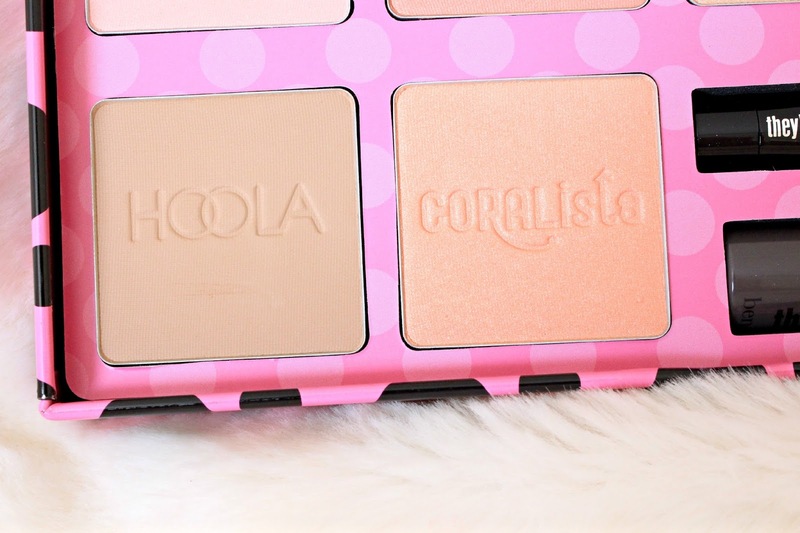 The palette contains 5 full size blushers, which is perfect for a blush-aholic like me. I was a little disappointed to see that there was no Hervana in this years kit as that shade is my favourite, but other than that I'm utterly besotted with this palette. The shades are all individually beautiful, but also look great layered together, as they're so natural looking. The palette also contains a couple of mini's of their 'hero' products to help you complete your look - a mini Watts Up, They're Real! Mascara and Liner - all of which I own in full size, so I wasn't too interested in these. The packaging of this year's palette isn't something I would pick, as I'm not a fan of the garish neon green, and think that the sweet shoppe idea last year was much more 'Benefit', however the palette does come in a tin which I like, as it feels a lot more secure. Packaging aside, this palette is truly beautiful. Overall, I love this palette and I'd highly recommend picking it up sharpish if you don't want to miss out as it's selling out fast. All of my usual beauty sites are currently out of stock, however John Lewis currently have a couple left here - so act fast! What do you think of this year's palette? Such a great palette! I got the version they did last year and get so much use out of it! I love this idea! The fact that you get so many of their stand out shades is amazing. This set is adorable! I love the Benefit blushes! 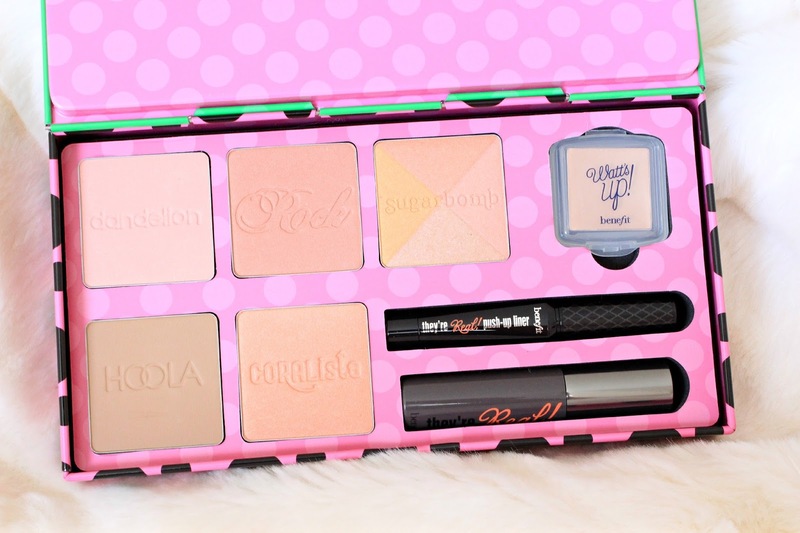 I loveee this palette so much, I deffo need this in my life asap! My local benefit haven't launched it yet but once they do you convinced me to get one for myself. Now this I think I might have to get my hands on! So many beauties in one palette! I'm with you, I really don't like the packaging but that I can overlook for what's inside! 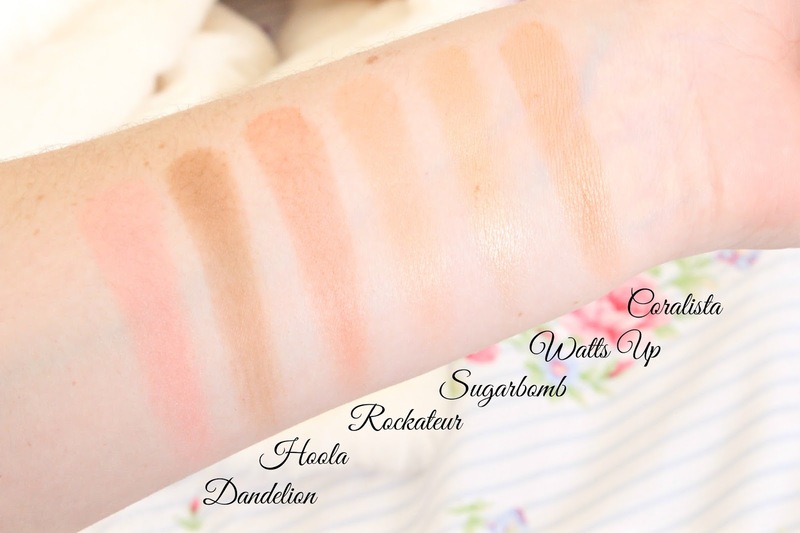 This looks like the perfect palette for me as I love cheek products! Benefit always release fab Christmas collections. I managed to get my hands on the palette with all their powders last Christmas!